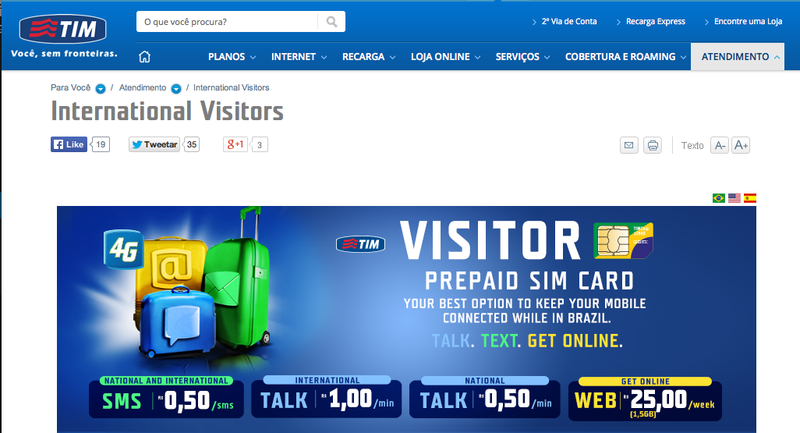 Thanks to the number of visitors who came to Brazil for the World Cup, a number of the local mobile operators now offer very straight forward packages for international visitors. Rio and Brazil has a good telephone network and it is possible to direct dial to just about anywhere in Brazil or internationally.The country code for Brazil is +55 and Rio is +21. The country has one of the world’s largest mobile phone networks (225 million subscribers and counting) and non-Brazilian mobile phones will work if they are tri or quad-band and that includes iPhones and BlackBerrys.